We’ve got another great KNITerview for you today! Today’s KNITerviewee, Adrianna of Crafterhours, makes up half of the amazing and hilarious Crafterhours duo (along with Susan, another dear friend). Adrianna has branched out into knit patternmaking recently with her pattern brand, Hey June, with two great knit patterns, the Greenpoint Cardigan, and the Lane Raglan (for women!!!). 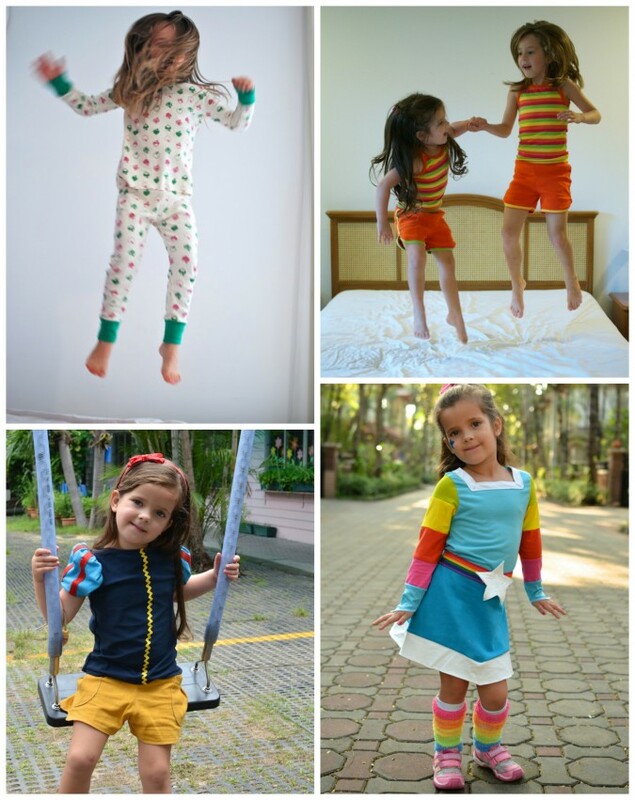 In addition — as you’ll see — she’s made many cute knit garments for her adorable girls. Welcome, Adrianna! RAE: What was the first thing you ever sewed with knits (if you remember?) Was it a good or bad experience? ADRIANNA: I don’t remember the first thing, but I do remember that early on in my knit-sewing and blogging career, I made a bunch of Dana’s 90 minute shirts. I think they’re a great first knit project because you don’t have to work with a neck binding in the round, but you still get some experience at stretching a neck binding while sewing it to an un-stretched bodice. I think this is one of the hardest skills to master because a lot of it involves intuition and knit-knowledge that only comes with experience. The 90 minute shirt is a great way to gain that experience. 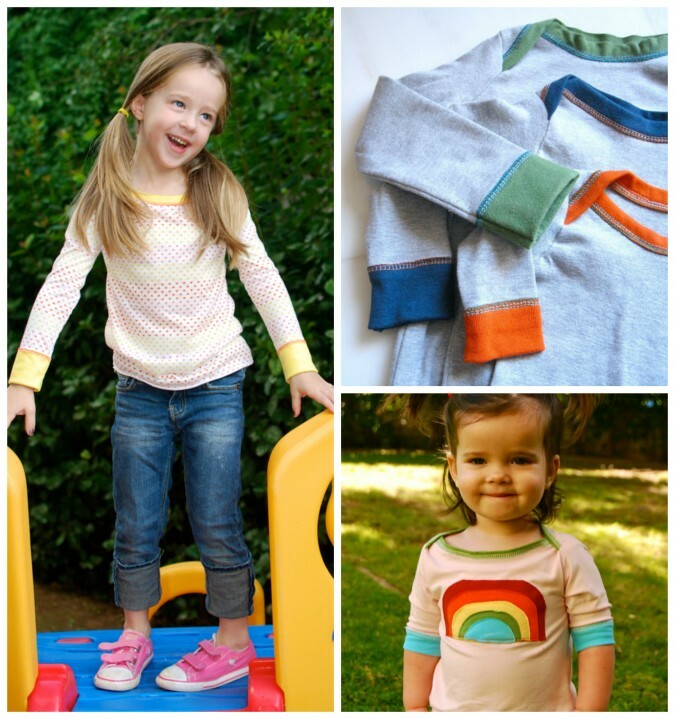 RAE: What’s your favorite thing to sew with knit fabrics? ADRIANNA: Um, can I say everything? I love knits! Whenever I’m looking at a pattern meant for wovens, I’m thinking about how I could make it with knits. My best experience doing that was with Jess’ Junebug Dress. Just make sure you’re using a stable 100% cotton knit and use interfacing for buttonholes and facings, and you’ve opened up a whole new world of knit sewing! RAE: Do you have a favorite pattern for knit fabrics that you keep coming back to? ADRIANNA: No one in particular, but I do enjoy making t-shirts. I know you can buy them at Target for under 10 bucks, but it’s so satisfying to take a flat piece of fabric and in under an hour have a nice new top for yourself that looks store bought. 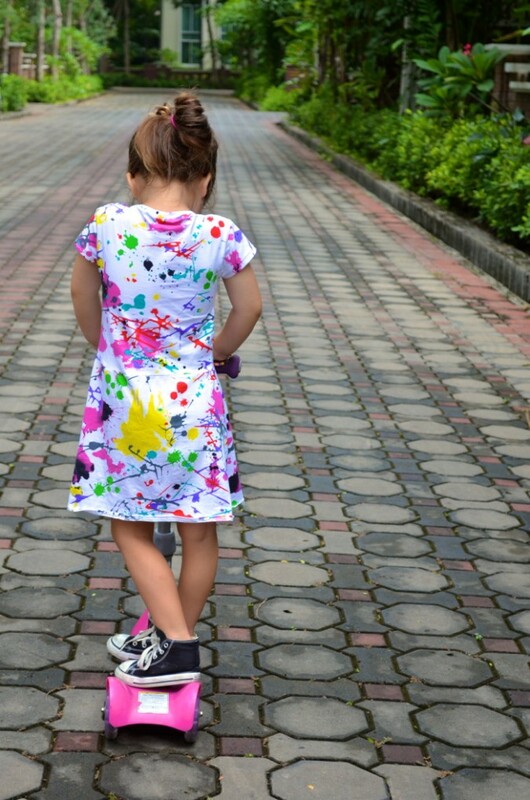 If the fabric is already cut and pressed, I can make a simple t-shirt in 20 minutes. It makes me feel giddy with power. RAE: What kind of knit fabric do you like best? 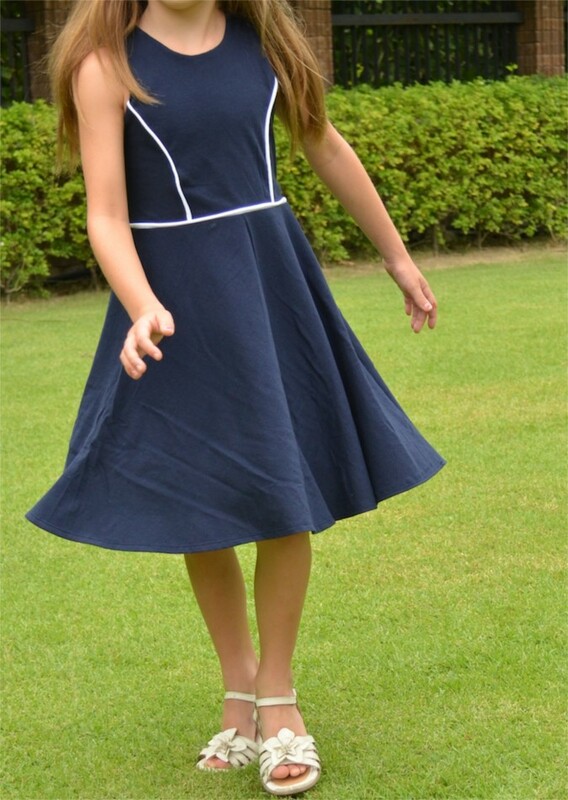 ADRIANNA: I love a good quality 100% cotton jersey. They’re easy to sew, they work well for almost all garments, and it’s a popular substrate so there are a large variety of solids and patterns. But the best kind of knit to sew with is the kind that you’ve felt with your own hands. You should stretch it in both directions, drape it over your arm, hold it up to light, and see how it recovers after being stretched. Unfortunately I have to order almost all my knits online since they aren’t very prevalent in my country, so it’s been hit or miss. Stores like Fabric.com and Girl Charlee are great about including the weight of the knit in ounces and/or the percentages of fabric content, so you can have a better idea of what it’s like. RAE: What type of knit and project would you recommend for someone who’s never sewn with knits before? 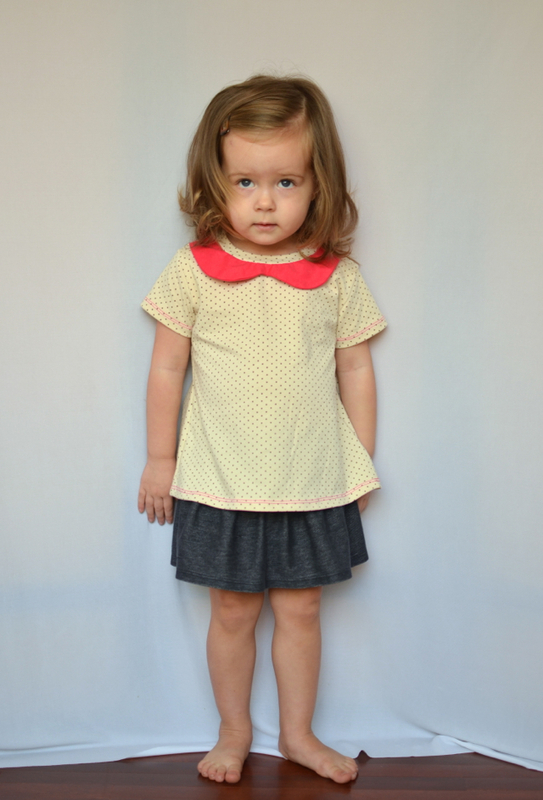 ADRIANNA: Interlock or 100% cotton jersey, because they behave the most like woven fabrics, depending on their weight. 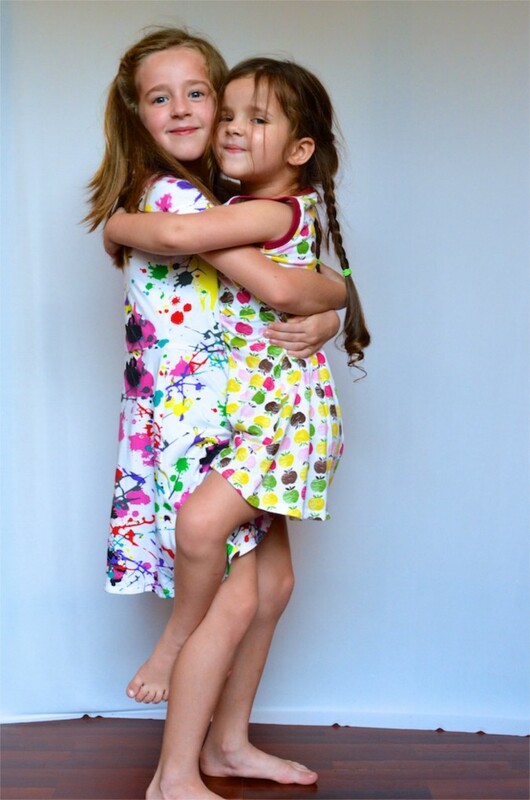 Pajamas and costumes make great first projects because they won’t be seen much outside the house and you won’t be as concerned with mistakes, but you’ll gain some valuable knit garment construction experience. When you’re ready to start making real clothes, pick a pattern that uses cuffs instead of hemming. I would humbly suggest my Greenpoint Cardigan, or my brand new women’s pattern, the Lane Raglan, both of which require no hemming. Hemming opens up a whole new world of pain that you won’t want to deal with as a beginner. Take baby steps and deal with the harder stuff when you have a better feel for how knit acts under your presser foot. My fellow kniterviewees have already outlined so many great tips for hemming. When you feel ready, try a few different techniques on scrap fabric to discover what works best for you, your machine, and the type of knit you’re using. RAE: What’s one tip or trick you wish someone had told you when you first started sewing with knits? ADRIANNA: Always do a test! I run a quick line of serging through a double-layer scrap of knit from my project to see if I need to adjust the thread tension or the feed differential. I almost always have to adjust something, so it’s worth the extra effort. Serging is pretty final and you don’t want to discover that your side seam is wavy after it’s sewn. RAE: Do you use a serger? Which make/model? Do you recommend it? ADRIANNA: Yes and Yes! I have the same Brother 1034 as just about everyone else. It’s a great machine, very cheap and very simple. Threading it is a breeze and it runs really smoothly and reliably, especially for the price. I’m always telling folks that you don’t need a serger to sew knits, and that is definitely true. However, if you’re going to make a habit of it (and trust me, you will!) this serger is a small investment for a big return. I love when I can make a garment without touching my sewing machine. I also have the Brother cover hem machine, which makes hemming not only easy but really fun. It’s a bit more pricey than the serger, but every time I use it I’m thrilled that I made the investment. It’s the reason I can sew a shirt in 20 minutes, and I get a professional finish every time. You can find out more about the differences between sewing machines, sergers, and cover hem machines in this post over at Crafterhours. RAE: Any tips for sewing with sergers? ADRIANNA: The large rolls of thread for sergers last a loooong time, but they can be a bit of an investment if you’re stocking up. To save money I always keep white thread in my serger unless I’m sewing something really dark or using a visible rolled hem stitch. White thread is more likely to be sold in bulk at a discount. You’ll notice that the looper thread spools run out faster than the needle thread. If you rotate them like tires on a car, you can go longer without buying thread. For my coverhem, I only match the needle thread to my garment since it is topstitched. The looper thread is always white. It can get costly to buy big rolls of thread in every color of the rainbow, so this helps a bit. Alternately, you could just buy one roll of each color and fill bobbins with it, though you’ll be changing the bobbins fairly frequently. RAE: Yay!! I love knits too!! Thanks for being here Adrianna! And you can find all the posts from the previous series HERE. Great post! I am new to my serger and I can’t wait to get the hang of it, so I can start sewing up some knits!! There are so many patterns and ideas I would love to try. Thank you for all the tips! Adrianna, I LOVE this post. I think you really hit the nail on the head – knit sewing takes practice, it helps if you have the right tools, but once you get comfortable with it, it’s super rewarding. My son today was wearing a short sleeved flashback skinny tee with a bimaa hoodie over the top when he left the house this morning and it made me super happy inside. 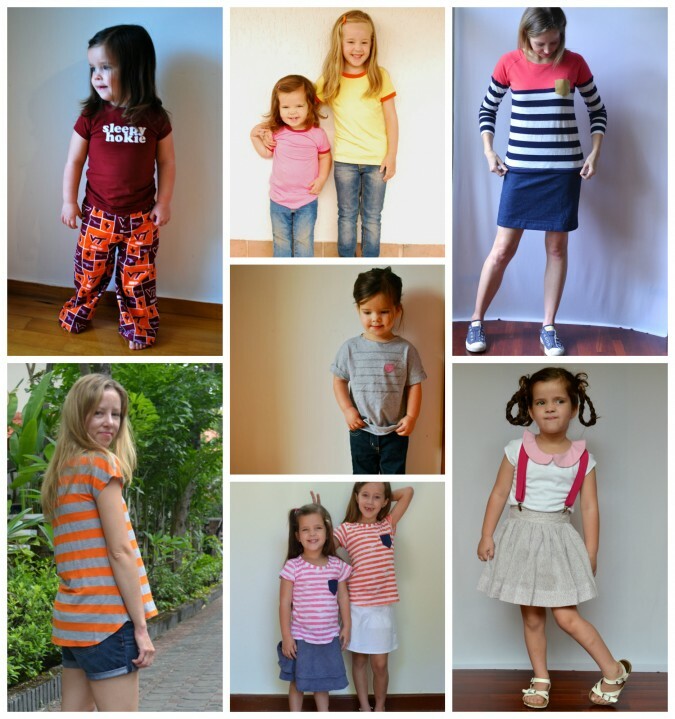 Kids LOVE wearing knits! And adults too, honestly. Thanks so much Kristin! I actually have a layering cami on my “patterns to make in 2014” list! I just want to get some ladies’ basics out there. In the meantime, here’s one I’ve seen around: http://sozowhatdoyouknow.blogspot.com/2012/07/free-downloadable-pdf-pattern-vest.html. I haven’t made it, but I would trust anything she puts out – she’s an amazing seamstress! Hi Adrianna! I love this post and appreciate your tips, but I am mainly commenting to say Go Hokies! As a fellow Hokie, I am always so glad to see us representing in blog land. Thanks again for a great Kniterview! This just made me want to learn more about knits. Just completed my first knit project and they were definitely worth the purchase since they’re hard to come by in my part of the world too. Thank you for the motivation to try more knits! I just finished up a Lane Raglan! It was so easy and fast, I was so surprised! I will definitely be making more! Now I would also like to try the cardigan.